What Are The Statutes Of Limitations On Debt? You are here: Home / Litigation & Dispute Resolution / What Are The Statutes Of Limitations On Debt? A statute of limitations is the statute which sets the deadline for initiating a legal action based on an event that gives rise to a cause of action. The matter need not be fully resolved before the deadline. The purpose of having a statute of limitations is to ensure that legal matters are resolved within a reasonable period of time. Thus someone who wants to initiate a legal action against someone else must do so by the deadline set by the applicable statute of limitations. Likewise, if the government seeks to prosecute someone for a crime must press charges by the statute of limitations deadline for the crime. The deadlines set by the statute of limitations for civil disputes and criminal acts are the time periods deemed “reasonable” by the state legislature. In determining the reasonable time periods, the various state legislatures attempt to balance the interests of the claimant against the interests of the debtor. The claimant needs time to develop a viable claim, and the limitations deadline motivates claimants to pursue their claims with all reasonable diligence. Otherwise, the claim languishes and can become stale. As time passes, evidence becomes unreliable and memories fade. The defendant’s interest in disproving the claim or mitigating damages becomes unfairly impaired. How Do You Know What the Deadline Is Under the Statute of Limitations? Which state’s law applies. The statutes of limitations on debt are set by state law. 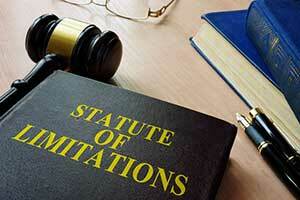 Different states have different statutes of limitations for the same action. For example, a creditor may have four years to sue a debtor for a delinquent debt in one state, but only three years in another state. In transactions that cross state lines, a question may exist as to which state’s law applies. The loan documents usually address such a situation. The nature of the debt and the creditor’s claim. The statutes of limitations on debt is different for a default on a written agreement, such as a promissory note and mortgage, than for an oral agreement to pay. The terms of the debt agreement. 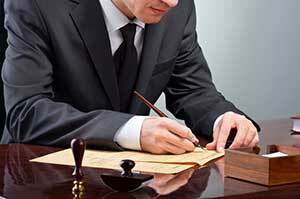 A debtor may have agreed to specific terms regarding the limitations period in the written loan documents. For example, the debtor may have agreed to the application of a specific state’s law or other contractual terms that could affect the limitations period. What Happens When the Limitations Period Expires? Once the limitations period has expired on a debt, the creditor no longer has the ability to bring a legal action to enforce it. A debtor can use the statute of limitations as a defense against that creditor. The debtor may also have a claim against the creditor for a violation of the Federal Fair Debt Collection Act. That Act prohibits creditors from initiating a collection action on a debt after the statute of limitations period expires. Be cautious, however. In most states, the statutes of limitations on debt begins to run on the date of the last activity on the account. This means that if a debtor makes a payment or promise to make a payment, the statute of limitations starts to run all over again no matter how much time had elapsed before. How Do You Know If the Limitations Period Has Expired? Do not assume that your creditors will inform you about the limitations period. Consult with an experienced litigation attorney who can help you determine which statutes of limitations on debt applies in your matter and whether it has expired. 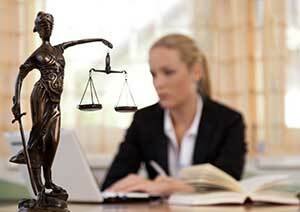 The statute of limitations period is different from the credit reporting time limit. As noted earlier, the statute of limitations only sets a deadline for a creditor to initiate legal action to collect a debt. The statutes of limitations on debt does not preclude a creditor from reporting the debt on the debtor’s credit report. Even if the statute of limitations period has expired, a creditor can still report the debt. The creditor can report the debt any time up until the credit reporting time limit expires. The Fair Credit Reporting Act sets the time period for reporting negative information on your credit report. The credit reporting time limit is seven years from the first date of delinquency for most negative information. This applies to delinquency information (late credit card payments and collections), charge-offs, student loan defaults, and foreclosures. Certain other negative information will stay on the debtor’s credit report for a longer period of time. Lawsuits or judgments may remain on the credit report for seven years from the date of filing or the state statute of limitations, whichever is longer. Bankruptcies can be reported for 10 years from the date the bankruptcy is filed. Finally, unpaid tax liens can be reported indefinitely. Certain states like California and New York have special rules on credit reporting time limits. Once the credit reporting deadline expires, the debt should automatically disappear from the credit report. However, the credit reporting deadline has no effect on the debtor’s legal obligation to pay the debt. Also, an unpaid debt may remain on a credit report even after the statute of limitations period has expired, as long as the applicable Fair Credit Reporting Act period has not expired. If you are involved in a credit dispute or a collection action, don’t try to handle it alone. It can have very long term effects on your finances and your credit. You need the assistance of counsel. A litigation attorney who is experienced in debtor/creditor disputes will consult with you about your case and work with you to develop a successful strategy. Getting help from an experienced litigation attorney will help you resolve the dispute as quickly as possible, relieve you from stressful collection attempts, and protect your rights.